Is your marketing as accountable to you as you are committed to your customers and your business? If you’re looking for effective and trackable marketing programs, perhaps it’s time you considered a strategic Inbound Marketing program. Inbound Marketing is all about getting found by prospective customers. By providing prospects and customers with valuable and relevant content when they want it, you’re there when they go searching! Traditional marketing programs (outbound marketing), focus on finding customers. Relying on techniques that are broadly targeted and that interrupt people, like cold-calling, print advertising, TV advertising, and direct mail. These tactics can be called Spray and Pray marketing tactics, because you put it out there and hope for the best! Technology is making traditional marketing less effective and more expensive. Caller ID blocks cold calls, DVRs makes TV advertising less effective and our prospects are overwhelmed by marketing message, so they’ve mastered how to turn off the noise. Instead of driving your message into a crowd over and over again, inbound marketing let’s you focusing on targeting your right clients and reaching them exactly when they search for your offering. Just like the way you conduct yourself in other areas of business Inbound Marketing is: targeted, smart, effective and so easy to evaluate. A successful inbound marketing campaign relies on the right components: content, search engine marketing, and social media, but also the right tools that allow you to execute integrated inbound marketing campaigns and track effectiveness right to the number of sales. Wouldn’t you like your marketing to be targeted and accountable? Isn’t it time you have access to the both excellent strategy and tools that integrate your efforts and results in one place? Perhaps it’s time for a free inbound marketing assessment. 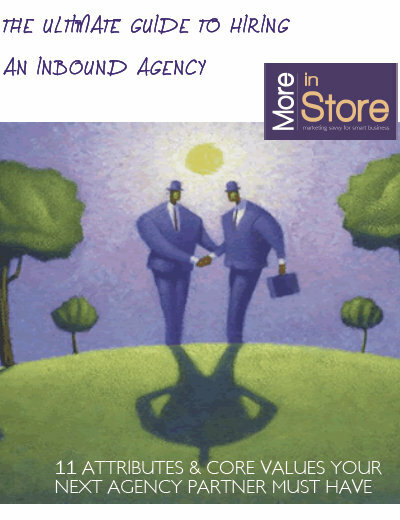 More In Store Marketing Solutions is Atlantic Canada's first agency provider of Hubspot. We are a Certified Agency Partner. 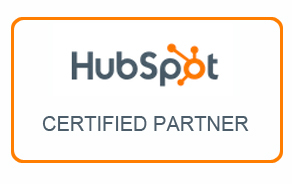 HubSpot’s all-in-one software brings together the entire online marketing picture into one integrated system. The number of fans or LIKES on a page may be bragging rights for some organizations, but I understand that a valuable social media presence requires more than LIKES and fans, it requires a well thought out strategy that focuses on business LEADS not LIKES. Considering Hiring an Inbound Marketing Agency, Download our ebook. Ready to hand your Inbound Marketing Efforts over to an expert and start realizing the potiential of a lead generating website. Learn about our Inbound Marketing Retainers here.